CRT have started a consultation on the proposed regeneration of Bulbourne Yard and Workshops on the Southern GU. Local events have been held on 22nd and 23rd of February 16, They have published a leaflet with further details of the scheme which can be read here. A web site is available at http://bulbourneyard.co.uk/ where you can view details and make comment. If you know the area, please do make a comment. At a recent use group meeting, CRT handed out cards like this. 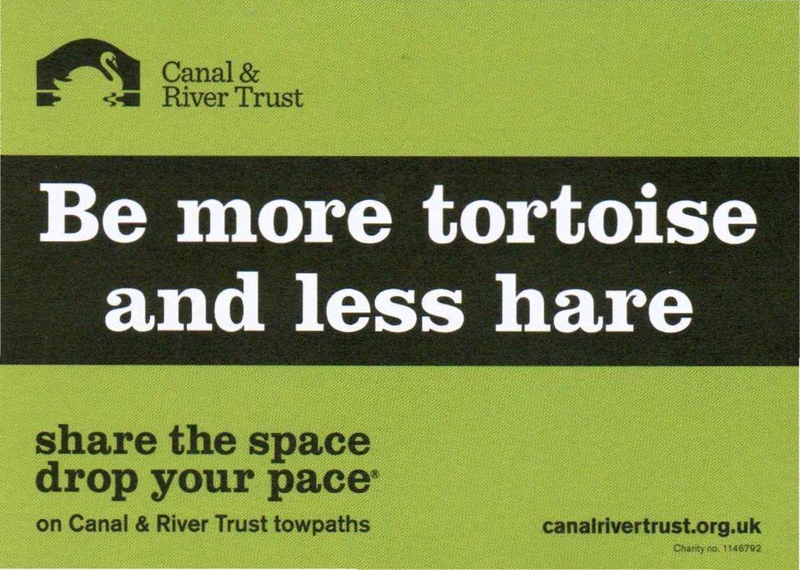 It is all part of the towpath-code of share the space.